I'm sharing my testimony - the moment when my life was changed on Raechel's blog - Ferrever. It's the last of series on prayer. To celebrate the series on prayer, we wanted you to enjoy a free printable! It's 8.5x11. Print it, hang it up and be reminded that our God is able! Hello again, dear ones! Thanks for checking in. Raechel from Ferrever is here with us talking about prayer! So, grab some coffee and be encouraged. how many times have you said to a friend after she just poured out her heart to you about a struggle or painful experience she's going through, "I'll be praying for you!" ?? and then a few days go by, you see her again & think to yourself, "blast! i forgot to pray for her!" okay, before you start feeling too guilty, remember you're not the only one who's done that. i recently heard some very wise advice from an older lady who said that one of the best things we can do when someone is grieving is pray with them right then & there. i don't know if you ever struggle with what to say to someone when they've just lost a loved one, or are going through a rough boyfriend break-up. i know i do. every. time. i mean, you don't want to just be chatty & try to get their mind off it, because that would seem insensitive. you also don't want to start preaching every scripture you can remember about pain & suffering. so what could possibly be the best thing to do in a potentially awkward moment? a little hug. a little silence. and a little prayer could possibly be exactly what your friend needs in that moment of grief. 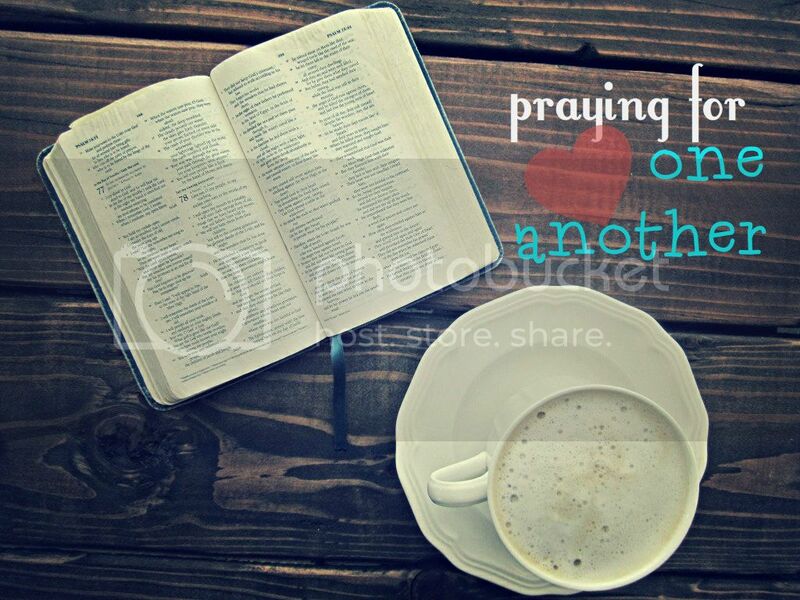 i challenge you to pray with one another. i sure am going to ask God to help me be diligent in doing the same!